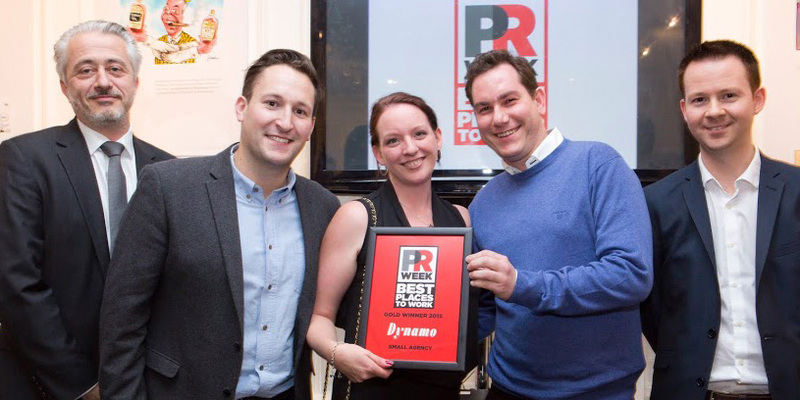 We’ve done well over the years with award-winning campaigns and team recognition here at Dynamo. But winning PRWeek’s accolade of being the best PR company to work for is a very special award, as it recognises the efforts that we’ve made to shape the company as we’ve grown up. Whilst Dynamo is nearly four years old, it still feels like yesterday that we set the consultancy up – working in a hot desking environment and discussing what sort of company we wanted to build. One thing for us was clear from the start. Bringing in great people would turn into amazing campaigns for clients, take Dynamo in exciting new directions and, most importantly, make the many hours we spend at work really fun. However we’d seen at many agencies that keeping great people can be incredibly difficult, and often can work out very expensive for the resource and time you spend replacing them if they leave. So one of our goals from the start has been not only to attract the right staff, but to build an agency where people can grow, develop, and stay. 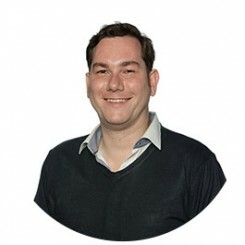 Back in the early days, it was just the two founders setting direction and culture, but now with more than 20 staff we involve everyone in shaping the business and culture at Dynamo. We had a weekend away in Copenhagen late last year, during which some staff came up with an analysis which said we should launch a new team. So we did, and have attracted great new clients as a result. One of our staff joined us as she said we were very ‘Silicon Valley’, negotiating chocolate into her contract, which has evolved to us providing personalised contracts, something even Forbes has written about. Another of our staff jokingly suggested we should follow Netflix’s policy of unlimited holidays. We looked at it, it made sense, we implemented it a few weeks later, and its working to benefit both staff and Dynamo for over 2 years. Put all these together with schemes that balance incentives for doing your work well, and bonuses for going above and beyond, and you’ll begin to get an idea of the culture within Dynamo. And we firmly believe that you can have both a great culture, and be a profitable business. So where does this leave us now? We’re twenty-odd staff strong, and in the past year have won awards for being the best small agency, and the best small agency to work for. How can we make our culture even more exciting? That is the question we’ll be posing staff and new hires in the coming weeks.